If you own an Apple iPhone, or are a fan of Apple technology in general, you’re likely to already be aware at the rate in which new products come out. The iPhone is the prime example; one of Apple’s most popular devices, this little smartphone seems to be upgraded and a new one comes out every year. With a new generation every 12 months or so, there are a lot of new iPhones. Yet a lot of new iPhones also results in lots of old iPhone handsets lying around doing nothing. There are plenty of people out there who have one or two old iPhones. Since these aren’t needed, the obvious question usually comes around; where and how can I sell my old iPhone? The best option today is recycling. You can easily sell any phone or gadget, including the iPhone, online to be recycled. Yet there are more benefits than just money. If you’re looking for further incentives or motivation, here are a number of addition reasons why you should look into selling your phone for recycling. 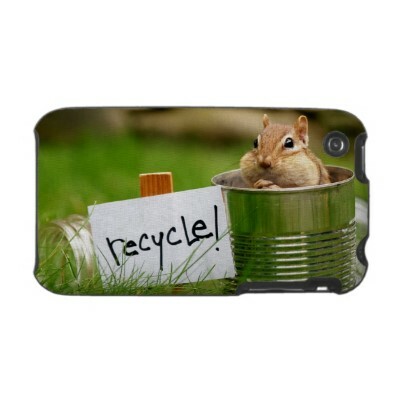 The major benefit of recycling is that it avoids putting the iPhones into landfills. Most phones have various liquids and chemicals, such as a lead-based coating used on many mobile casings, which can cause damage. These often take the form of toxic liquids that can soak into a landfill, making it even more dangerous. The iPhone itself is well known for this; Greenpeace have made various claims regarding the soldering for the battery casing and other parts of the phone. Yet, in all honesty, any phone has a definite negative impact if placed in a landfill. Recycling, of course, is the alternative to this. So, in addition to getting money, you also have a greater peace of mind knowing you’ve done a little bit extra to help the environment. Recycling the phone also gives manufacturers more material to work with. Copper, Gold, Zinc and the various other materials needed to make motherboards and other components are not cheap to mine or collect. As such, recycling offers a valuable market for them tap into and collect such resources; the main reason why you can get a decent price for your iPhone. Yet you’re also helping the cycle continue. By donating your phone for recycling, you’re giving new phones a life. When those phones come to the end of their use, you can again recycle them for profit, continuing the cycle. Finally, compared to other ways to sell the iPhone, recycling maintains the value. There’s always a need for the internal components and material, where as the face value of a phone decreases. This varies from phone to phone, but the iPhone can decrease quite quickly. Each new generation makes the older ones even cheaper. As such, your phone decreases quite rapidly; the iPhone comes out on an annual basis. Few phones, if any, beat this rate of development and regeneration. It still depends on your own choice, whether you wanted to get it recycled or would want to have the iPhone sold for a mere lesser price. It would in the end help not just you but the companies and the environment, as there are quite a few changes that progressively occur in any phone and later there are more radiations pulled in by the time when it gets older, to get a better network. Check how to find out the value of old iPad or Mac.